The 2 volumes are an excellent collection of one-shots! The plot can seem a tad repetitive from time to time (ie, a couple stories with a similar plot involving the annoyance of Prince Soma), but overall each story is fresh and entertaining, not to mention funny! 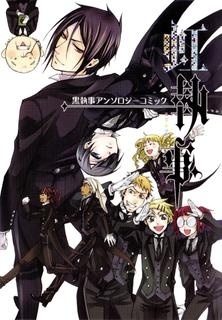 Sebastian served as a babysitter. Grell tries on the Madam's clothes. Lizzie insists on Ciel only eating a "cute" scented curry. Really, it's all very original. I say, if you can find it, give this a shot. Where can I read chapters 15-27?